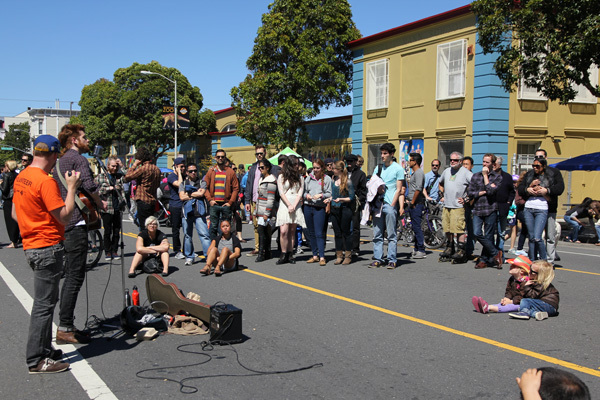 The second Sunday Streets of the year was held recently on April 14th in the Mission District. 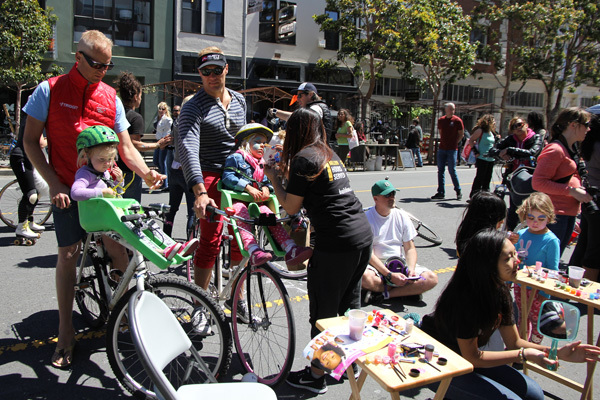 Compared to the first Sunday Streets held on the Embarcadero, the event space was more compact- only about 2 miles (3.2 km) of car-free open streets but the event was crowded with people and various activities. 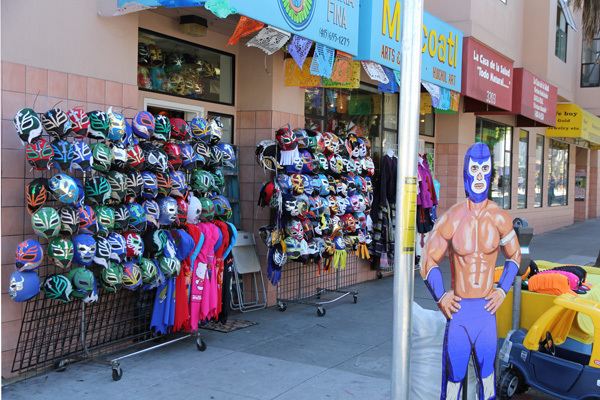 Although it can be a little harder to ride your bike the whole way through due to the crowds, the Sunday Streets that are held in the Mission District are arguably the most popular and culturally interesting ones. Indeed, there were plenty of interesting things to see and it was an amazing day full of energy and fun! If you missed the event, don’t worry we have lots of photos for you! 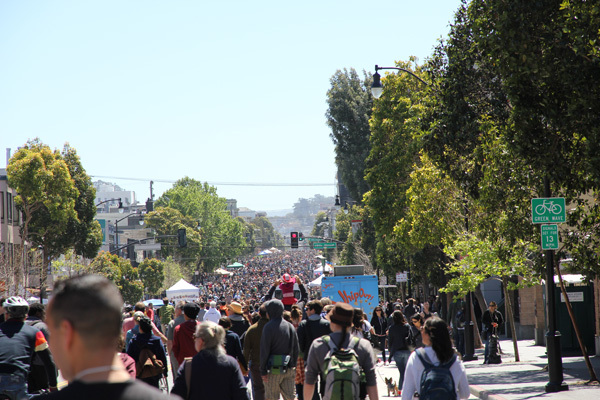 Ocean of people on Valencia St. (facing South). 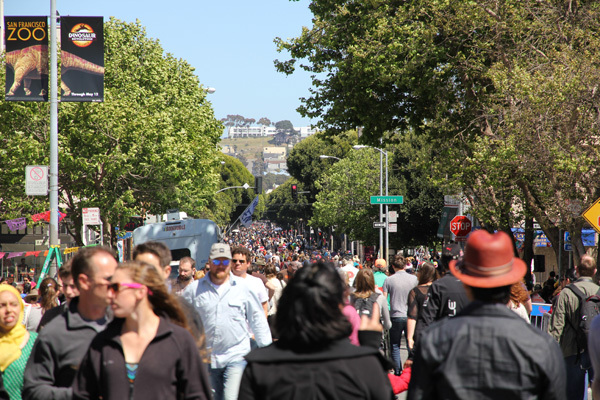 Sea of people on 24th St. (facing East). Trainer and his circus monkey for LGBT youths. 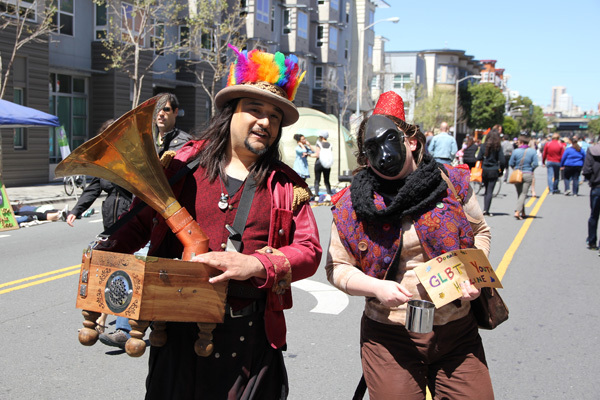 One of the great things that Sunday Streets provides is the opportunity for ordinary people to promote their small business, get publicity for their rock band or just sell their crafts. 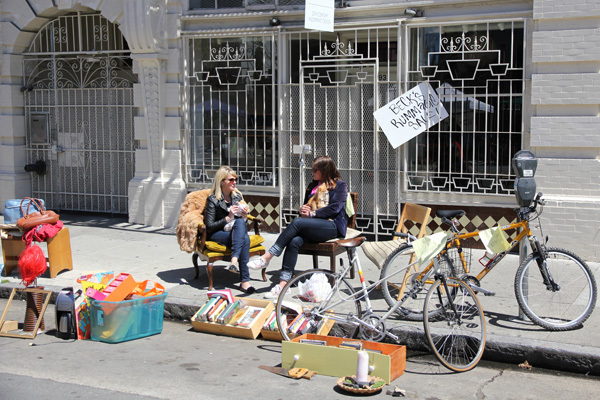 In this case, this gal Beck is having a yard sale. Beck’s Rummage Sale! That Peugeot mixte will be gone by day’s end. 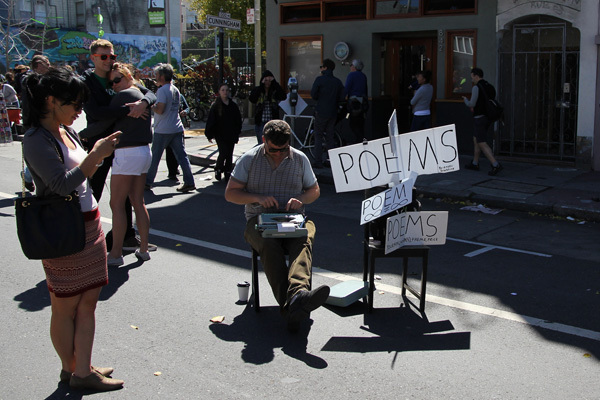 Poems are a rare thing these days, and even rarer is his typewriter. 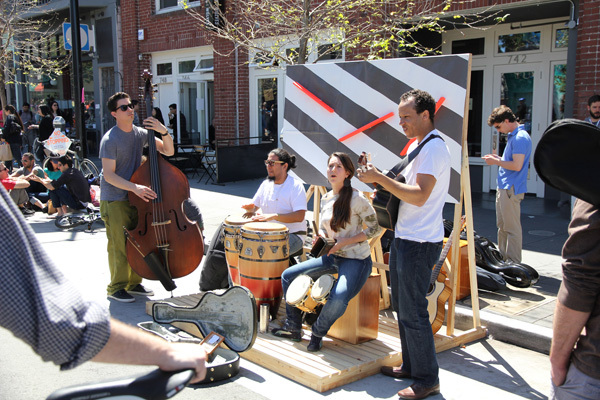 A Latin band performing without any amplifier. It’s nice! Those two children are already fans of his music. 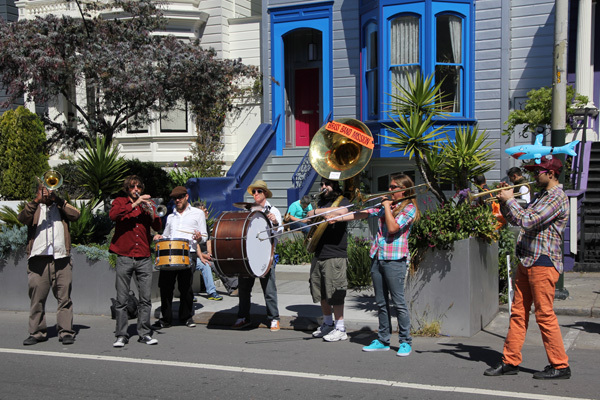 Brass Band Mission – what an energized band! 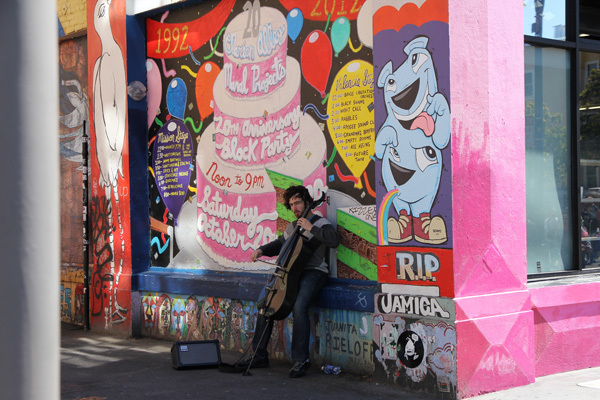 I had to take this photo – contrast in ambience. 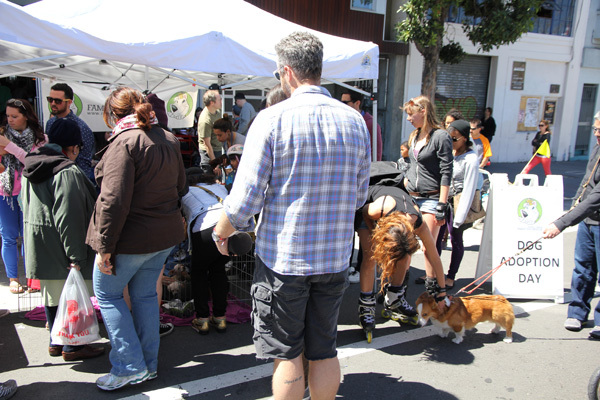 Dog Adoption Day – plenty of new dog owners today. Child in the middle is dozing off while her face is getting face-painted. How cute! 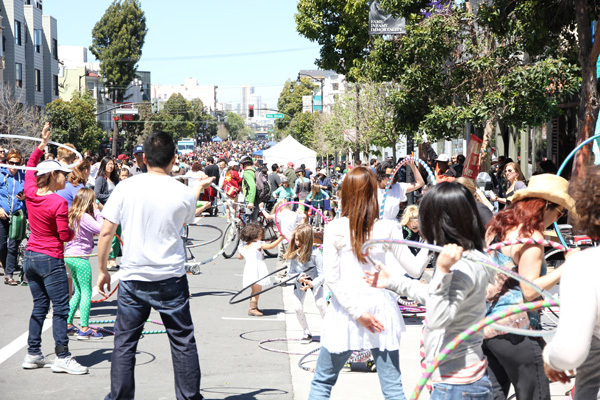 I have never seen so many people hula hooping! 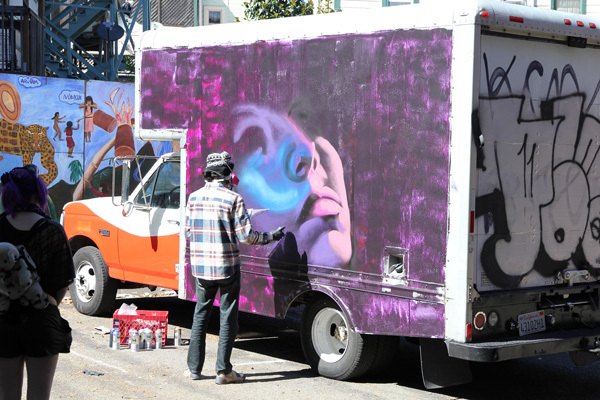 Photogenic Edwardian style homes on Valencia St.
Live painting graffiti artist in action! And I can’t end without showing any coverage on all things biking. 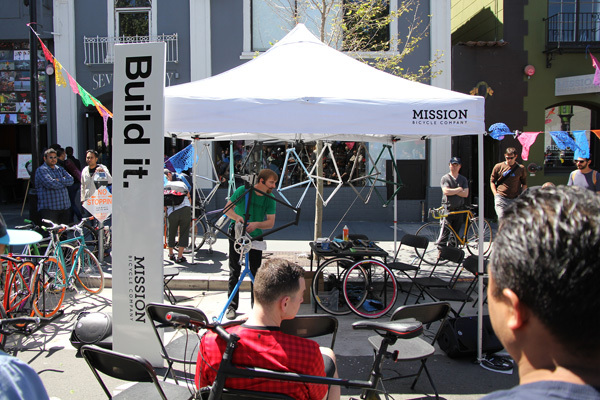 Mission Bicycle Build It – he’s showing to the audience how to build a bike. 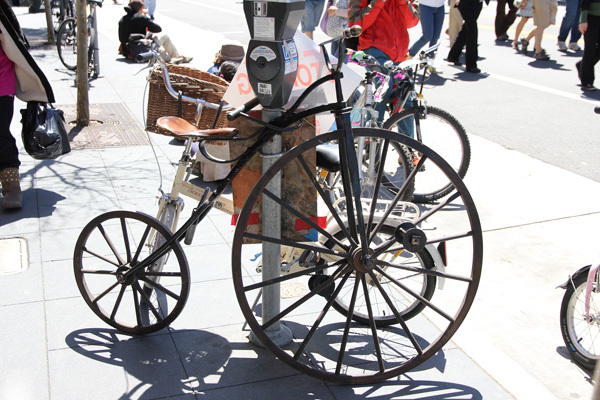 Penny Farthing – all steel and no rubber. 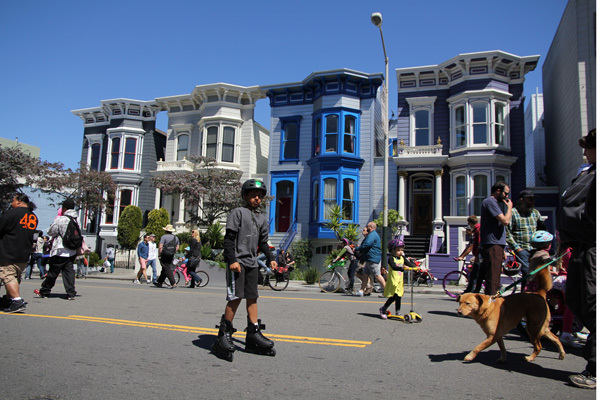 If you want to experience Sunday Streets in the Mission District, the next one held there will be on July 28. Mark your calendar!